The beach, the lake and the mountains with your best friend…what more could you ask for? Looking for Rangeley tourist attractions? 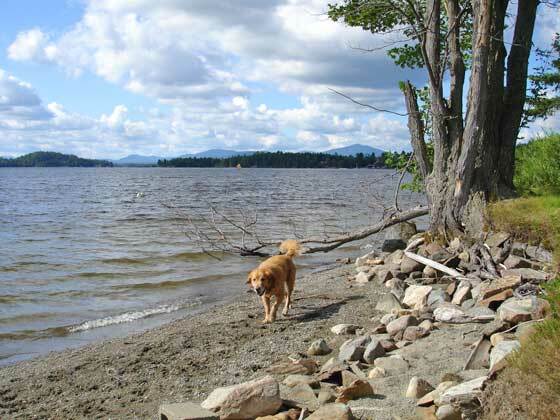 The word “boredom” is not in the vocabulary of residents and visitors lucky enough to spend time in Maine’s scenic Rangeley Lake Region. You may be a lover of the great outdoors, intent on soaking up some local sunshine while fishing on a quiet lake or an art enthusiast searching for local food, music or hand-crafted souvenirs. Either way, family-friendly, laid back Rangeley Lakes will keep you entertained. There is no lack of live entertainment in the Rangeley Lakes Region. The Rangeley Friends of the Arts host a number of events including stage plays, musicals and concerts. The Lakeside Theater is a favored venue which also shows movies. Moose Alley is the local bowling center that also hosts special events. Museums such as the Rangeley Lakes Logging Museum and the Rangeley Outdoor Sporting Heritage Museum successfully paint a portrait of the local area and its history. The melting ice signals the arrival of spring in Rangley, Maine and with it fields of wildflowers and the starting of new life. The canoes and kayaks are dusted off and bird and moose watchers take to the water in hopes of glimpsing mom and her offspring. As the summer sun warms the region campers head for Rangeley Lake State Park. Golfers tee off at two local courses. Rangeley Lake fishing is in full swing and nearby camps welcome children for some summer fun. Fall is leaf peeping season when your camera becomes your new best friend, ready to capture Mother Nature’s vibrant color show. Hunters also take part in an age old Rangeley, Maine tradition. Saddleback Mountain Ski Area beckons winter visitors to take to the powdery slopes for some downhill skiing and snowboarding fun. Cross-country skiers challenge the more than 62 miles of trails in the Rangeley area that double as hiking paths in the warmer months. Rangeley Lake snowmobiling is in full swing with more than 100 miles of trails to explore. Climb on the back of a gentle pony to explore the backwoods trails of Rangeley Lakes. Take a kid-friendly hike to Spencer’s Pond or really challenge yourself and try the Saddleback Mountain Trail to the summit for a panoramic view of the Rangeley Lakes Area. If you’d like to do your sightseeing on the water, board the Oquossoc Lady for a scenic cruise of Rangeley Lakes and Narramantic Island. For an entirely different perspective, take a floatplane tour of Rangeley and the surrounding area. If you are in the Rangeley Lakes Region during the fall, any of these sightseeing methods will give you a first-hand look at the bold oranges, golds and yellows adorning the area’s hardwood trees. A leisurely drive along the area’s highways gives even more chances to catch some of that breath-taking color on film. Bird watchers will be delighted at the assortment of feathered critters found in the Rangeley Lakes Region. All you need are binoculars, a bird identification book and a trail or lakeshore to follow. The Rangeley Lakes Heritage Trust looks after a bird sanctuary at Hunter Cove. This 100-acre site welcomes visitors to look for Canada geese, ducks, grouse, songbirds and a number of other species, both residential and migratory. In all likelihood you won’t have to look very hard to find a moose. They are often seen wandering along local roadways. It’s also possible to find them munching in the shallows of lakes and ponds. What may look like a big brown lump in the water suddenly raises its head above the surface and there you go, a water-plant munching moose looking right back at you. Moose watching tours, usually available during the summer months are one of the most popular Rangeley tourist attractions! Are most places dog friendly. We have a small poodle who does not do well at the Kennel and she has lots of anxiety. We are hoping to include her in most things. We are in our 60s and I am limited as to what I can do physically. I think there is enough to do.